The United Way of the Bradford Area has awarded more than $7,000 to six local organizations through community innovations grant funding for the fourth quarter of 2013. The recipients are: Bradford Ecumenical Home, Inc.’s intergenerational art program; CARE for Children smart board installation; Destinations Bradford’s medical gas cards and care closet; Dickinson Mental Health holiday events; Evergreen Elm, Inc.’s swimming therapy program; and The Salvation Army’s energy assistance program. Local non-profit, 501(c)3, health and human service agencies may submit a request for up to $1,500 per quarter. The category supports programs independent of those benefitting from monthly allocations that have the potential to impact the local community, encouraging innovative approaches to meeting health and human service needs, and produce specific and measurable outcomes. Community Innovations grant applications are due on a quarterly basis, and are part of three categories of funding from the annual United Way campaign. For more questions about United Way, or to make a contribution to the 2013-2014 campaign, visit www.uwbanews.org or call 814-368-6181. The United Way of the Bradford Area is currently accepting Request for Proposals (RFP) for the 2014 calendar year. Local 501(c)3 health and human service organizations which would like to receive funding can submit an RFP by by 4:00 pm on Friday, September 20, 2013. The applications are divided among Community Essential and Community Building programs. Community Essential programs or organizations are such that provide direct services for food, shelter, clothing, health, emergency services and protection from abuse/violence; Community Building programs respond to community needs and issues. A third category of funding, Community Innovations, supports quarterly grants of up to $1,500 for programs independent of agency funding, but those with the potential to impact the local community. Fourth-quarter applications for 2013 Community Innovations are due October 1, 2013. All applications are reviewed by committees comprised of United Way Board members, with recommendations being presented to the full board for final approval. A sure sign of the summer winding down is the kick-off of the United Way of the Bradford Area’s annual fundraising campaign, which officially begins today. This year’s goal is again $330,000, of which $33,000 (or 10%) has already been raised. 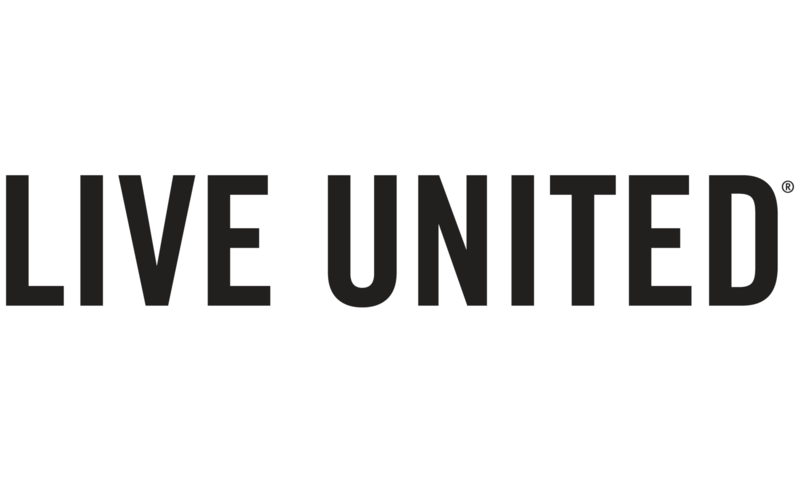 The United Way campaign runs from August through December and has a goal of securing pledges from the community through workplace campaigns and individual contributions that benefit the local United Way’s 18 affiliated agencies and 32 programs. This year’s promotional theme was decided on through a contest held in May for local 3rd, 4th, 5th and 6th grade students. Participating classes submitted their choice for a theme, along with their reasoning for choosing it. “The students did a great job with their campaign theme submissions for this year and, as a board, they made it a very difficult decision for us.” said Steve Williams, UWBA Board President. “We were presented with several fantastic options, but ultimately chose Mrs. Johnson’s (3rd grade at School Street Elementary) entry. “What was so great about this ‘competition’ was that we got to hear what some of the area’s students think of or know about the United Way. One of our goals was to have a presence amongst our local youth, and we succeeded with this opportunity – but there’ll be many more,” said Williams. The community is encouraged to help celebrate this year’s campaign at the 15th annual pig roast/clam bake, presented by Northwest Savings Bank, which is scheduled for September 5th at the West Branch Community Center. Tickets are $30 per person, and include a buffet dinner, desserts and beverages. A cash bar, 50/50 tickets and raffles are also available. Additional sponsorship has been provided by Tops Supermarket, Penn Laurel Realty and Glenwood Beer Distributors. Proceeds from the event benefit the United Way. Those wishing to attend can reserve their tickets online at www.uwbanews.org or by calling the office. As the UWBA has marked the start of the fundraising efforts for the 2013 campaign, this year’s co-chairs – Lisa Boser-Miller and Mary Boser – are ready and waiting to get started! 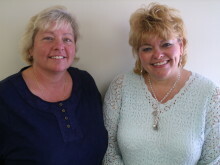 The two ladies are no strangers to the United Way. Mary currently is finishing her final month of her term as a member of the Board of Directors, having served for the past eight years. Lisa previously served as a board member for four years, and has since been heavily involved with special events and corporate solicitations. “I think this is a great way for me, personally, to finish up my Board tenure,” said Mary. “This organization will always be close to me, whether I’m on the board, co-chairing a campaign, or being a donor. The Boser Sisters will be an immediate “face” for this year’s appeal, “Life Is Good When You’re United”, and will also be division leaders for the corporate, corporate employee and mail solicitations. Mary echoed those remarks, adding, “We fully expect to raise the $330,000 – and beyond – since we have learned through the years that so many in the Bradford community, which we are proud to call home, share our pride. Mary, an Assistant Professor of Nursing at the University of Pittsburgh at Bradford, currently lives in Bradford. Lisa serves as the Manager of the Case Collectors Club for W.R. Case & Sons Cutlery Company and also resides in Bradford with her husband Phil. So, a couple of things come to mind. First, I’m happy to promote the UWBA as more than a fundraising organization (although that is our primary function). We are here to assist – to the best of our abilities – anyone in need. Whether it’s referrals, the use of a telephone, or a band-aid if you’ve fallen off your bike, we’re proud to be able to serve our community – our neighbors – any way we can. The United Way of the Bradford Area has awarded more than $6,000 to five local organizations through community innovations grant funding for the third quarter of 2013. The recipients are: Bradford Ecumenical Home, Inc.’s outdoor summer picnic; Bradford Regional Little League for safety nets; CARE for Children’s “Best Babies Series”; Dickinson Mental Health holiday events; and The Salvation Army’s food pantry. Local non-profit, 501 (c)3, health and human service agencies may submit a request for up to $1,500 per quarter. The category supports programs independent of those benefitting from monthly allocations that have the potential to impact the local community, encouraging innovative approaches to meeting health and human service needs, and produce specific and measurable outcomes. The deadline for the fourth quarter grant application is October 1. Applications may be received by visiting www.uwbanews.org, the United Way office, or by request to mandi.davis@uwbanews.org. All applications are reviewed by a committee comprised of United Way board members, with recommendations being presented to the full board for final approval.